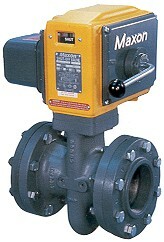 Positive indication of valve body position provided through: Auxiliary SPDT and DPDT signal switches mounted inside valve top enclosure. Proof-of-open and/or Proof-of-closed position switches. 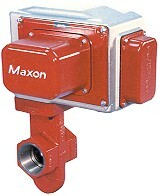 Built-in over travel valve body design meets requirements of insurance standards. External junction box requirement eliminated with built-in valve wiring compartment and electrical terminal block. 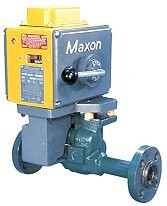 Manual reset valves may be mounted in overhead lines with use of wheel and chain option. Companion flange sets available to simpiify installation.